QantasLink’s inaugural flight between Brisbane and Hamilton Island touched down today, giving customers more travel options travelling to The Whitsunday Islands. 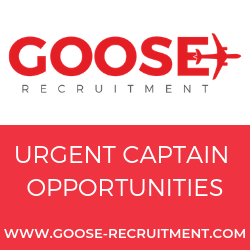 QantasLink will operate four return services per week – between Fridays and Mondays – on its 74 seat Q400 aircraft, which is ideally suited to the route. QantasLink Chief Executive Officer John Gissing said this was great news for customers and Whitsunday tourism. 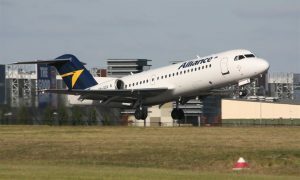 “We know that our customers wanted a direct premium service from Brisbane to Hamilton Island, so it’s a very exciting day for us and our customers,” Mr Gissing said. “This is also great news for tourism and The Whitsunday’s 74 tropical islands, including the renowned Hamilton Island and the ultra-luxury One&Only Hayman Island. “The most important factor with any new airline route is to match air capacity with consumer demand. 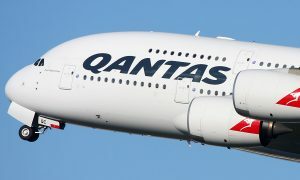 Given the growth and high occupancy levels we’ve experienced on Hamilton Island over the last two years, we’re confident we will be able to provide the load factor to ensure the route is successful and commercially viable for the Qantas group. “We recognise that Hamilton Island is not only a popular Great Barrier Reef holiday destination but also a crucial commuter hub. 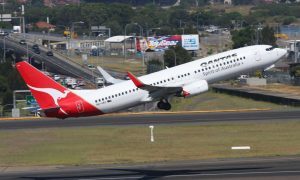 This additional Qantas service is a positive development for the region and will provide increased flexibility for those travelling from mainland Queensland to the Whitsundays,” said Mr Bourke. The Qantas Group offers 40 return services a week to Hamilton Island from Sydney, Brisbane, Melbourne and Cairns.